I talked more generally about politically themed reading during our last Federal election but I thought it worth having a look at how politicians themselves are treated in crime fiction. Perhaps it won’t surprise too many of you that, for the most part, they’re either murdered horribly or depicted as completely corrupt. 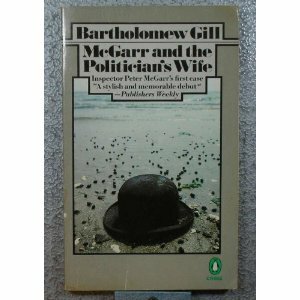 Bartholomew Gill’s McGarr and the Politician’s Wife is the first novel of what became a long running series featuring Peter McGarr who is Chief Superintendent of Detectives for the Irish Garda. In this story the discovery of a body at a yacht club leads police to investigate a politician of dubious credibility and his promiscuous wife and tackles issues such as the impact of the IRA on local politics. The book was originally published in 1977 though was later republished in 2000 as McGarr and the Politician but I don’t know if this later version makes any substantial changes to the story to account for the altered political environment. 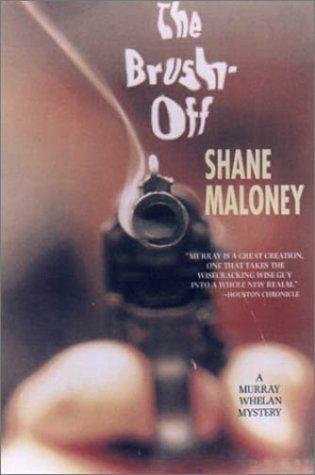 Politicians are heavily featured in Australian author Shane Maloney‘s series following the adventures of Murray Whelan, aide, advisor and fixit man as well as reluctant amateur sleuth. In The Brush Off Murray’s boss has scored the job of Minister for the Arts so when an artist is found dead Murray’s first job is to ensure no fallout reaches his boss. He discovers political cover-ups, abuse of power, fraudulent use of public money (all before breakfast). Maloney’s writing is a treat and having spent some time doing similar jobs to Murray’s I think he depicts that particular environment beautifully. 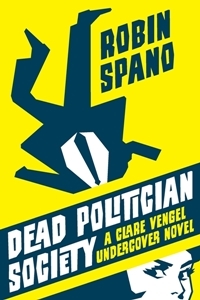 Robin Spano’s Dead Politician Society opens with the murder of a local politician in Toronto, Canada. Surely I can’t be the the only reader who happily inserted a particularly annoying politician of my own acquaintance in the mental images running through my head during that sequence. As part of its investigation into the case the Toronto police insert a young policewoman into a political group active at the university to identify whether or not any of its members are responsible for the death. 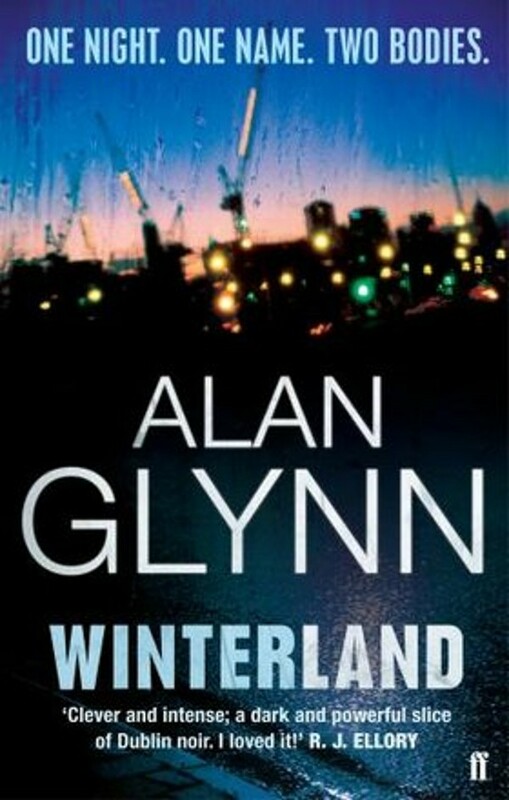 In Alan Glynn’s Winterland the crime part of the story almost plays a secondary role to its political elements. Set in present-day Ireland as the economic prosperity of the previous decade turns sour, the book opens with the death of two men on the same evening. As only one of the deaths is thought to be murder so police are not involved but a victim’s relative delves into the matter and uncovers the seedier side of Irish politics. Larry Bolger, son of a politician himself, is being groomed to take a shot at becoming the country’s political leader. His desire for the job, and the desire of his connections to make sure he gets it, are at the heart of this compelling story. 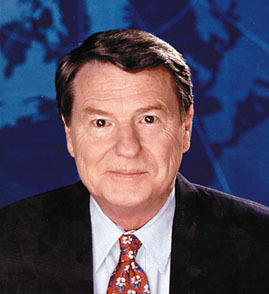 One of the surprising things I learned as I toddled around the internet looking up the titles of books half-remembered for this post, is that American TV news anchor Jim Lehrer (who has been, rather inexplicably, appearing daily on Australia’s foreign language TV channel for the past couple of decades) has written a swag of mystery novels including seven books featuring a character called one-eyed Mack who is the Lieutenant Governor of Oklahoma. Has anyone read any of these and are they any good? This entry was posted in Alan Glynn, Anthony Gilbert, Bartholomew Gill, Crime Fiction Alphabet, John Maddox Roberts, Robin Spano, Shane Maloney (Aus). Bookmark the permalink. Bernadette – What a terrific idea for “P!” I always liked the Bartholomew Gill series, so I’m very glad you mentioned that one. And Margaret Truman wrote more than one good novel about politicians, both good ones and nasty, corrupt one. I can’t say I have a particular favourite politician, but I can say that I like the “inside look” at politics in Truman’s novels and in some of Michael Connelly’s novels (even more than “some” if you include departmental politics). All of that “backroom” stuff makes for such interesting plots… :-). Great suggestions. I particularly think the first series of books that you mentino sound fascinating so I will definitely try and keep an eye out for those. I really should stop reading blogs now that I’ve said I’ll be only buying new books after reading 6 of my TBRs. I haven’t read books by any of these authors! Original, inventive and thorough post, as ever, Bernadette, what more could a blog reader want?! The only book of these I’ve read is Winterland, which I enjoyed a lot. I like political thrillers, too – I suppose once could classify The Millennium Trilogy as such (along with being every other genre! ), especially TGWKTHN. In Swedish vein there are recent novels such as Three Seconds (Roslund Helstom) and Leif Persson’s Winter’s Longing….Summer’s End (or as I think of it, the “book that never seems to end” and it is only one of three!). I still think fondly of John LeCarre’s (best?) books – Tinker Tailor, Honourable Schoolboy and Smiley’s People. Another political thriller I read recently-ish is The Dying Light by Henry Porter – a bit of a curate’s egg. Did you ever read/see A Very British Coup years ago (book by Chris Mullin MP)? Written when the Tories had been in power for what seemed like forever, it foresaw what might happen if a Labour government got in (initial euphoria!) and the subsequent establishment reaction. The TV series starring the late Ray McNally (MacAnally?) was great (unfortnately never seems to have been made available at a reasonable price on DVD though I think you can get it if you are prepared to pay a lot), the book also pretty good if a bit too much paranoia in the last quarter. That’s a really great list, congrats! The one addition I would suggest, which no one so far has mentioned would be the locked room mysteries by Joseph Commings featuring New York (Democrat) Senator Brooks U. Banner – the best of these were collected in BANNER DEADLINES, published in 2004 by Crippen & Landru. An interesting post. 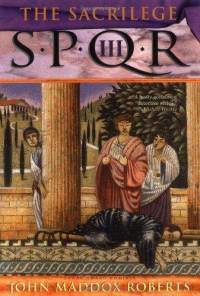 I am going to have to look for the Spano book. I had not heard of it before reading the post. We have just had a federal election in Canada with a considerable number of new politicians being elected.